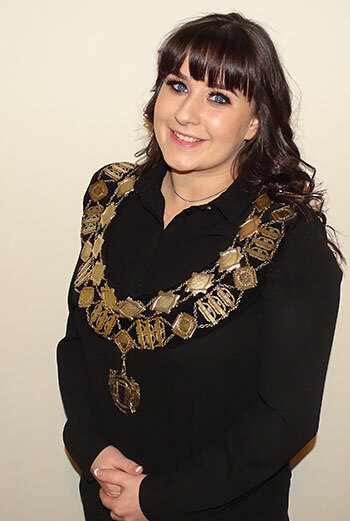 Rochdale and Bury based Co-op Funeralcare Embalmer, Rachel Carline, has been appointed as the Chairperson for the North West division of The British Institute of Embalmers (BIE). The British Institute of Embalmers was founded in 1927 when a group of funeral directors recognised the need for a separate organisation for the professional embalmer. Rachel, who has worked for Co-op for seven years, previously held the position of first Vice Chairperson for the BIE, but in January this year was honoured to be appointed as the Chairperson. As part of her new role, Rachel will be supporting and encouraging the development of BIE students. This includes setting up professional development opportunities and events as well as being on hand to support students throughout their training. Talking about her experience as a Funeral Arranger and Embalmer, Rachel commented: “I wanted to get into the funeral industry so that I could support people going through one of the hardest times of their lives. I first joined Co-op as a Funeral Arranger which is when I began to understand the importance of caring for the deceased and doing right by our local communities.